Fruit trees experts were left scratching their heads as to the identity of an Apple trees in the East Orchard. 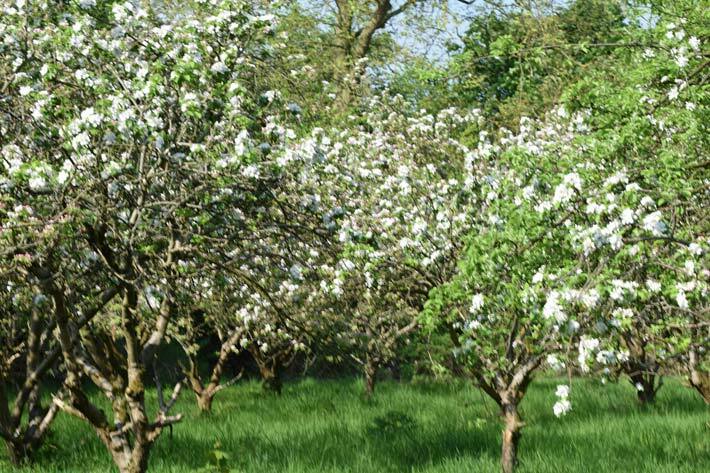 Our own consultant, Bob Lever, had identified the types of all our other trees in both East and West Orchards but was stumped by one tree. He invited colleagues from the East of England Orchard Group to drop in and make their assessment but the identity of this tree beat them all. So, we turned to science and the latest technique of Fruit tree DNA testing. Sample leaves were sent off last year for analysis with the result that the tree has now been identified. It is a Gibbon’s Russet. It is an Irish variety that was first recorded in 1897. It can be used as an eating apple, or as a cider apple. Our Orchard map has now been updated!